Mortgages are the largest single transaction in most people’s lives. Buying a property can be a stressful and time consuming experience with ever changing product rates and restrictions to borrowers we aim to take the hassle out of the process through our Mortgage Solutions service. As Independent Advisers we have access to virtually the whole UK mortgage market, some of which are exclusive products, designed for clients with specific requirements. This gives us a clear advantage over direct lenders, if you walk into a high street bank or building society you will only have a limited range of options available to you from the lender product range. If you visit an online comparison site you may find thousands of products available each with their own small print and intricacies in their criteria which you may not find out about until its too late. As the biggest financial decision you will make in your lifetime would you want to take such a gamble? Our Mortgage Solutions service covers every part of the residential mortgage market. Tailored advice is available for all purchases and remortgages, buy-to-lets and lifetime mortgages (equity release). 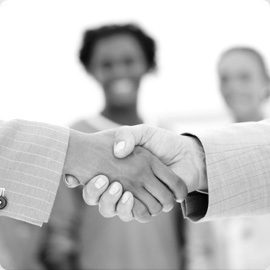 We are also able to provide introductions to solicitors and access to a conveyancing service and buildings and contents insurance via professional connections to complete the service.